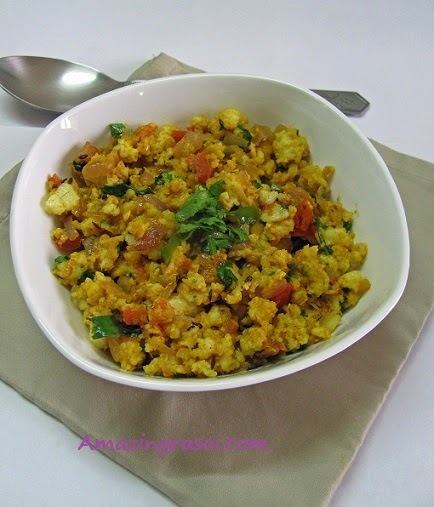 Paneer Bhurji is one of the simplest paneer recipe. It tastes good and can be prepared in less time and effort. 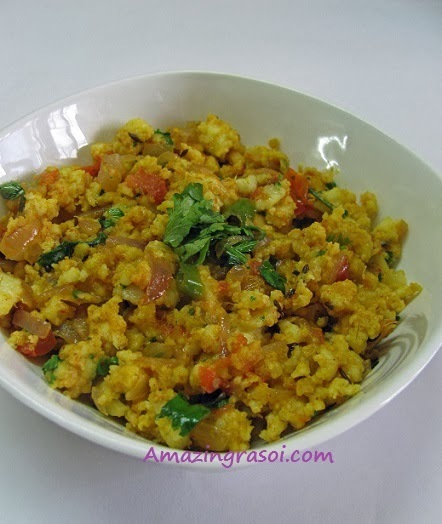 In this recipe, crumbled or grated paneer is cooked with with chopped onion and tomato with little spices. Heat oil in a pan/kadai and add the cumin seed. Once seed starting spluttering then add chopped onions and green chillis, saute till onions turn transparent. Add the ginger garlic paste and cook for a min. Add finely chopped tomato and cook till it gets soft. Add turmeric pwd, cumin pwd, red chilli pwd and garam masala pwd, mix well. 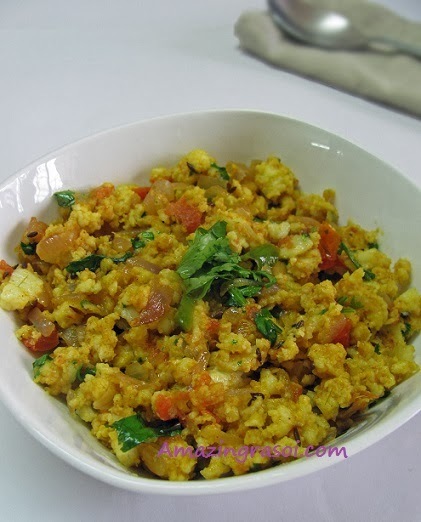 Add grated/crumbled paneer and chopped coriander leaves, mix well and cook for 3-4 min. Turn off the heat and serve hot with roti/paratha. After adding paneer do not cook for longer time else it will loose its softness. Can add chopped capsicum, it will enhance the taste.